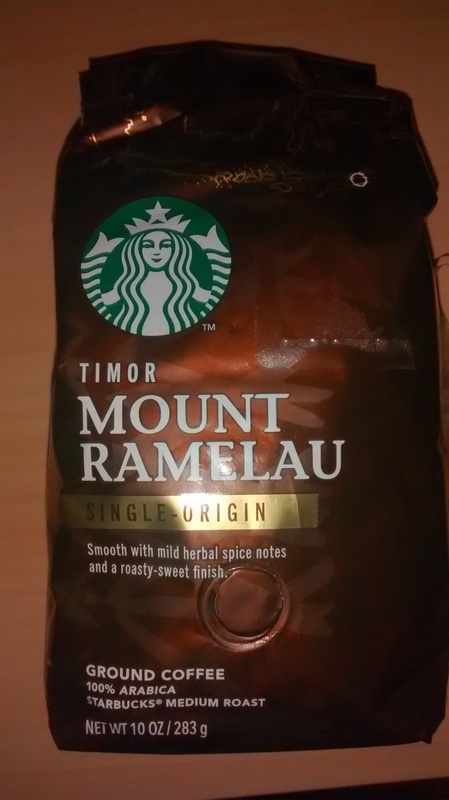 If we were having coffee, I’d offer you a cup of this wonderful Starbucks Mount Ramelau single origin coffee that I’m having for the first time tonight. It really is quite good. Not a coffee drinker? That’s okay because I just so happen to have some tea, green, and I can heat some water and get that to steeping. 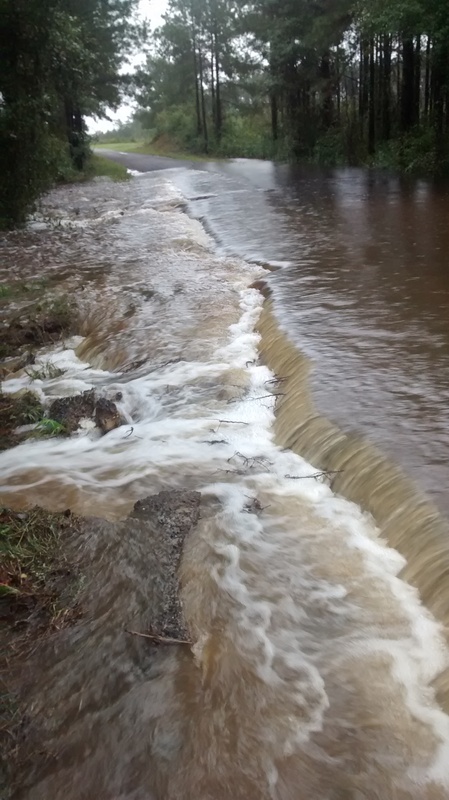 It has rained a lot! been very damaged over the past couple of days. Some have completely washed out. Getting to work in the morning should be fun. I’ll leave a bit early just in case I’ve got to find some alternate routes, but the plan of going to work on Monday morning stays the same. Get up, get on the road, and get there. Speaking of work, this is the first full weekend I’ve had in some time that we haven’t been traveling and it has rained the whole time. Fun, I know, but honestly, it’s wasn’t that bad. A time to sit around and relax a bit is just what I needed though. It has been, for the most part and for the lack of a better word, relaxing. It’s almost over now though. Tomorrow, it’s back to work. All that relaxing wasn’t done just in the house though. Friday night, we made it out to the movies to see The Martian. I won’t bother you with a full review, but if you read the book, I can tell you that while the movie is good, it is not as good as the book. They never are though, are they? By the time we get to our second cup, I could tell you how bad my Gamecocks are sucking this year. It’s pretty sad, but I’m no fair weather fan and I’ll still be watching the next time they play. Even though, it’ll probably be another loss. You could console me by telling me that, “There’s always next year,” at which I would just nod and smile. You see, I’ve heard that before. Finally, if I was really comfortable around you, I would tell you that I’m still writing, everyday now for 924 days. Really, I should be better by now. I’m sure you agree. I’d tell you about the zombie book I’ve been working on. It’s still in the early plotting stages, but so far, I’m pretty excited about it. Other than that, I’ve been writing some short stories. Maybe that’s a testament of my lack of focus. One of the stories, I posted on my site. Check it out here. It’s the first in my story a month goal and I posted it late. Just a few days though, and while I’m being honest, it almost didn’t go up at all. Hitting that publish button on a story is quite different than hitting it on a regular post. Can I get you another cup. No? Well I’ve got some to-go cups if you’d like to take one on the road with you. This sure has been fun! Thanks so much for stopping by and be sure to come back soon. There’s always a pot just waiting to be brewed, so don’t be a stranger. Hope some of that water recedes soon—and good luck with the writing! Thanks! Looks like more rain tonight and tomorrow, but it’s on the way out. It’s my first. Yours have been great over the last several weeks. Very inspiring! Really enjoyed this ‘getting to know you’ snippet, Curt 😊 A #weekendcoffeeshare is such a good idea! I’d take you up on it if there wasn’t a few thousand miles between us! Glad you liked it! The #weekendcoffee share is a lot of fun. I’m looking forward to the next one.